February 17, 2017 adminLeave a Comment on Should You Sell Your House Before Buying or Vice Versa? If you haven’t done this before, then be careful for your steps. To perfectly time the sale of your home, so you can avoid being the owner of two homes at the same time? It can get uncomfortable! Regardless of how well established you may be, closing the deal on the second purchase before selling the first is undesirable. At times it can be an unavoidable situation. But experts at Spring Hill Realty believe it’s just a game that realtors play well. You might just be depending on the sale of your home to buy the new one, and you might not even want to involve the realtor in this, so in that case, here’s the help that can solve your case. If you have enough savings in anticipation of such an event, then buying a new house before the sale of an old one is feasible. If you’re very independently wealthy, then you don’t need to worry. But there is even then a limit to managing two mortgages at the same time. You generally attempt to buy before you sell when you are under pressure of potential buyers and realtors visiting now and then, and you want to leave as soon as possible. Fixing times when family is not around and arranging the visit of buyers can simply be difficult. TIP: You can schedule an open house which makes it very easy and a large audience can visit. If you’re living in an apartment of an interim house, or even a townhouse, it’s an advantage then as you can allow buyers to enter the house but keep your privacy at the same time. Finally remember that, an empty home is a professional stage for highlighting home assets which eventually add to the price and quicker sale of the house. An empty home remains faultless, buyers can picture themselves living in and doing the arrangements according to their own liking. Empty walls and clutter free closets are the appetite of a buyers taste. So, do consider these facts if you want to buy before you sell your house! The second case: whether to sell the house before buying a new one. This is simply a faith proposition you’ll try making. 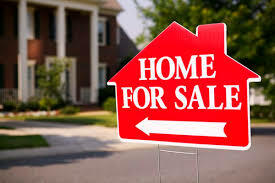 You should be dead sure that you will find an appropriate deal for home purchase or even a rental following the sale. This remains an option when you’re cash poor. For your purchase of a new house, you can place a contingency on the sale of your home. Although, in the property market, it is unlikely for your contingency to be considered and this will result in your disadvantage. In such cases banks give loan money for bridging the gap between the two transactions. Bridge loans at least add a cushion to the gap, although it is expensive and even the credit history required for such loans have to be outstanding. TIP: Try securing traditional financing from the lender; it is less risky and cheaper. If you’re lucky enough, you and your buyer might just strike a deal, which can allow you to rent-back your sold house and stay in, until you find a place to move in to. The buyer might only be able to rent-back the home to you for 60 days to the max, as the rental is considered as an investment after the specified period. For wise dealing and a perfect call, get in touch with a reliable realtor. Sometimes, it’s better to let the experts do their job. You will be relieved from the stress and decision making. How to Gift a Hospital Patient?